For all Pinoy fans of Jet Li and martial arts movies, here's a bit of good news for you. SM is bringing the Chinese superstar's latest movie in SM cinemas nationwide starting on November 6, 2013. 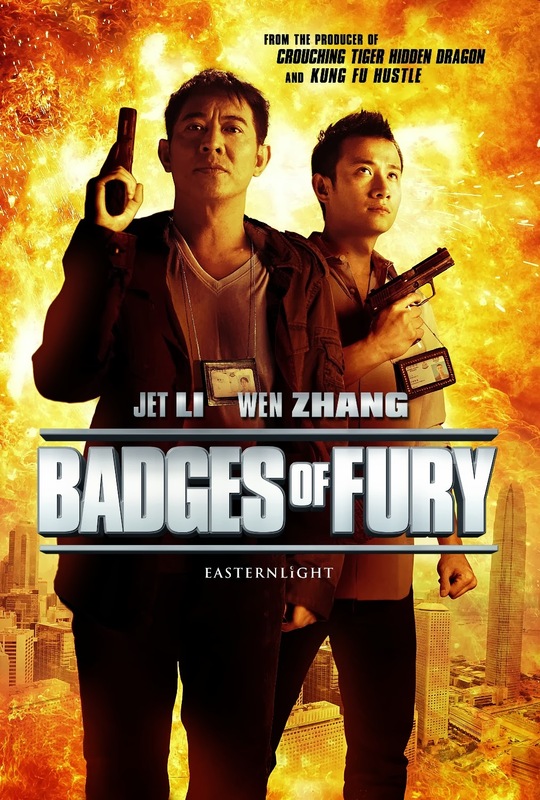 The movie which carries the title Badges of Fury is the only Jet Li movie released this year (2013). Starring opposite Li in the film is Wen Zhang, another well-known Chinese actor. Badges of Fury is the third collaboration between Li and Zhang. They previously worked together in the films The Sorcerer and The White Snake and Ocean Heaven. In Badges of Fury, the two goes out in an investigative mission to solve a series of murder cases. The movie also stars Collin Chou, Michelle Chen, Liu Shishi, Ada Liu, Wu Jing, Stephen Fung, Lin Shuang, Michael Tse, Kevin Cheng, Tian Liang, Bryan Leung, and Tong Dawei. It's directed by Wong Chi Ming. Reviews of the film are mixed. Deborah Young of The Hollywood Reporter says "From the first scene with an antsy young Hong Kong cop hopping around in a kilt disguised as part of a Scottish dance group, followed by a raucous free-for-all in which his man gets away, Badges of Fury stakes out its territory as broad laughs dressed up with some watchable if not remarkable fight sequences." Maggie Lee of Variety says "While the shambolic narrative offers less drama or spectacle than Li and Wen’s previous collaborations, the actors’ chemistry remains intact, thanks to Wen’s unique brand of cluelessness, which helps bring out Li’s snarky side (absent from his straight heroic roles)." And James Marsh of Twitchfilm says "Martial arts fans relishing the chance of seeing Jet Li square off against an assortment of villainous screen legends under Corey Yuen's action direction may well be left disappointed, as Badges of Fury really wants to be a goofy comedy vehicle for Wen Zhang and Michelle Chen."